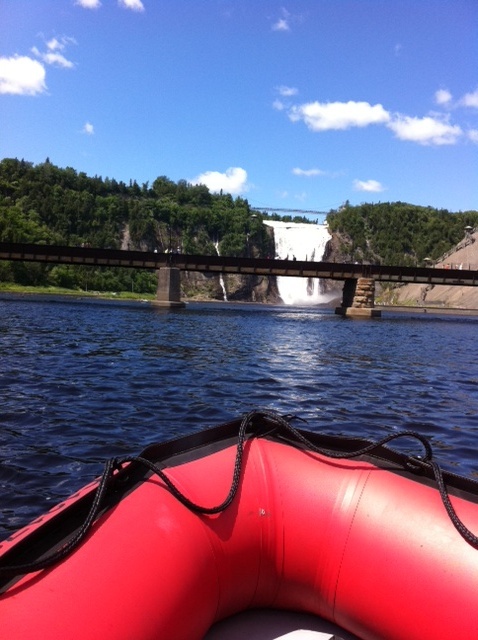 Discover the magnificent Montmorency Falls, our St. Lawrence River, and the Orleans Island. Enjoy safely this pleasant tour. Get close to the nature: the accessible river, the sublime waterfall as well as the wonderful landscapes of the Orleans Island. Our national poet Felix Leclerc was amazed. You will be impressed too. Close to an 83 meters high waterfall (30 meters higher than the Niagara Falls), pedestrian trails will draw you in a breathtaking stroll. Have a spectacular view of the Montmorency Falls from different angles: aboard the Zodiac, in the cable car, or simply by using the panoramic stairs or the suspended bridge. At the top of the cliff stands the Montmorency Manoir, which contains a fine dining restaurant, the Kent House bistro, a gift shop, and an interpretation centre. This place is even more magical at night due to the lights that illuminates the bay.